Boston Red Sox left-handed ace Chris Sale, a seven-time All-Star and two-time strikeout leader, has started this season 0-4 with an 8.50 ERA and just 14 strikeouts in 18.0 innings. After allowing four earned runs in five innings during an 8-0 loss to the New York Yankees on Tuesday, Sale expressed his disappointment. "I just flat-out stink right now," Sale told reporters postgame. "I don't know what it is. When you're going good, it's good. When you're going bad, it's pretty bad." "Doesn't matter how hard you throw or how fancy it looks," Sale added. "You need to throw up zeros. "I've got to find a way to pitch better. This is flat-out embarrassing. For my family, for my team, for our fans. This is about as bad as it gets. I have to pitch better. I keep saying the same things, but at the end of the day, you go out there and give up four runs here, five runs here, seven runs here ... if I get into the sixth or seventh inning like I should—that's who I am." Sale isn't the only Red Sox player off to a rough start, however. 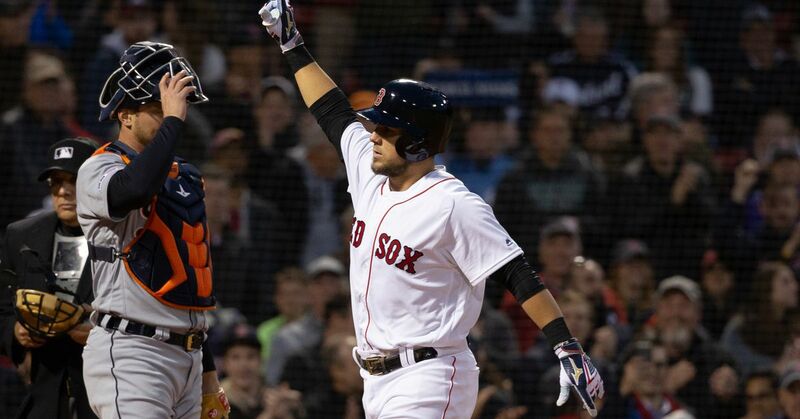 The defending World Series champions fell to 6-12 and last place in the American League East with the defeat. Centerfielder Jackie Bradley Jr. is batting just .160 and nearly has twice as many strikeouts (15) than hits (eight). Reigning American League MVP Mookie Betts has as many strikeouts as hits (14) and is batting just .212. On the mound, four Red Sox starters have ERA of 7.98 or worse, led by Rick Porcello's 11.12 mark. It's not a great start for the team, but Sale has been one of the decade's most dominant pitchers. Hence, watching him struggle is a bizarre sight. Manager Alex Cora is taking an optimistic approach with Sale at least. "I don't want to say it's a work in progress, because we're not here to build up," Cora said. "I'm not going to be surprised if, in his next outing, he's right where we need him to be. ... He's very close to the 'real' Chris Sale." In response to that, Sale said: "You'd better f--king hope so." There isn't much need for anyone in Boston to panic too much right now. First, the calendar hasn't even turned to May, and the Red Sox still have 144 games left to play. Second, it's not as if five American League teams have started to run and hide into postseason spots this early either. A 9-7 mark is good enough to occupy the last wild-card spot, for example. Third, there's historical precedent for teams to come back from even greater deficits. Actually, the Red Sox don't even need to leave town to find one. The 1914 Boston Braves started 4-18 and sat dead last in the National League at 26-40 on July 4. All they did was go 68-19 down the stretch, win the pennant by 10.5 games and sweep the Philadelphia Athletics in the World Series. 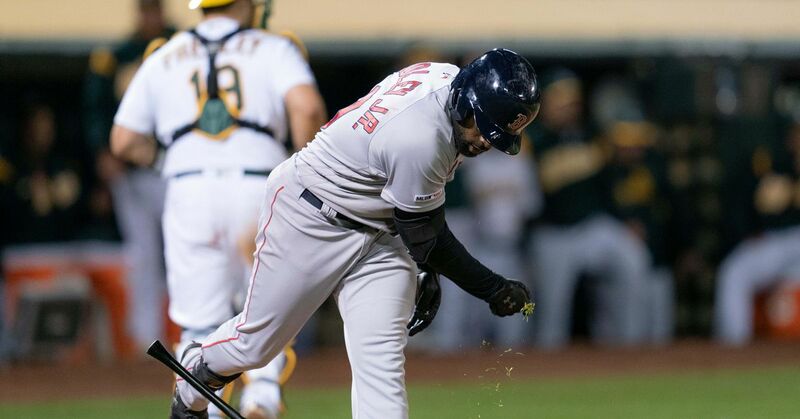 Fourth, the Red Sox got an elongated Western division road trip out of the way, and those travels are never too easy for teams flying cross-country. Overall, Boston is on pace to have the reverse win-loss total it had from last year (108-54 to 54-108). The guess here is that we won't see the Red Sox go 6-12 every 18 games en route to a miserable season. Expect a turnaround at some point.